Travelex Australia Exchange Rates – How do they Compare? Travelex Australia branches are a one stop shop, providing tons of helpful services to help you prep for an overseas trip. Travelex Australia provides foreign currency exchange, travel money cards, traveller’s cheques and foreign money transfer to bank accounts or cash pickup. This travel money comparison table shows how much you could save on your next travel money purchase by ordering online for Travelex pickup vs the Average Bank Rate. This example shows you the situation where you want to change $AUD 2,000 for foreign cash, note the margins are compared to the current market mid-rate. The important thing to know here is that you can get better rates online than available in branch and especially at the airport. Note a $10 collection fee applies for Travelex Australia foreign currency collections or Travelex home delivery orders that are under $AUD1,000. This table shows Travelex exchange rates for travel money. The percentages with the rates show how much margin is charged compared to the market mid-rate. The table is updated hourly, for the latest comparison goto our comparison calculator for Travel Money. BER rates Travelex Australia 4 stars for exchange rates (when you order online) and 5 stars for the usability of their website and apps and 4 stars for customer service. we used this company while we traveled to fiji they were the best as far as fees go. i ordered on line &picked up at sydney international very easy. From my experience of about 14 years, Travelex offers the lowest rate. Only good for emergency cash on arrival of a new location. 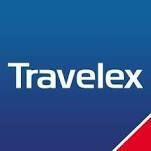 Hi Pradeep, the Travelex shown here is the Travelex Online rate which is much better than the rates available in their shops or at the airport. It’s best not to buy currency at airports in general where we agree you get the worst rates! Ok… honestly, who writes all this comments? Travelex staff? I found online service better that their consultants. They can be mmmm…. Okay, no all of them but! Their customer service is very poor. Do your research people, you can find better companies around, and many of them not as popular can give you the perfect customer service you are looking for when spending your hard work earned money. Don’t just settle for pity service. Good rates can be found very easily. In my personal opinion Flight centre, student travel and scape travel can offer better, if you dont ask you don find out. Good luck! Great rates but you can’t access the online balance from a tablet which makes it difficult to keep track of your money. thanks for your comment, Just wondering how you came up with figure of 0.13% ? Please let us know if you think there is an error in our calculations.